Nick Pinhey wrote us a note that I wanted to share… - the Cosadein ad is from the 1930's, therefore it would have required a prescription. But, I failed to note it contained cannabis... Interestingly, the ads say it was exempt front narcotic regulation. He also found it as early 1900's due to having 1907 and 1927 Sears’s catalogs. The 1907 version had lots of patent medicines with ingredients that would be illegal today. By 1927, the patent medicines containing cocaine, heroin and other drugs were gone from the Sears catalog, mainly, no doubt, to the Pure Food and Drug Act and cocaine being banned/regulated in 1914. 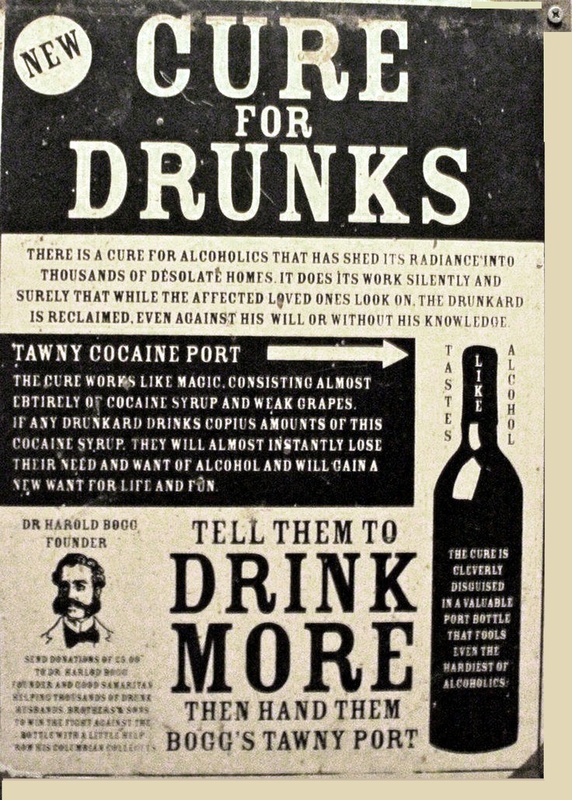 One had to have a doctor prescribe cocaine after 1914 (if memory serves). Of course, Mabel’s doctor would have given it to her. Anyway, it was amazing how many brands of coca wine were being sold in the late 19th century through the early 1900's. And take a look at this patent cough syrup (attached) - codeine with chloroform over the counter - get it by the gallon! That ought to control a cough. Thanks for sharing this useful and informative article. Such type of articles really very helpful for the readers to think on this topic and getting knowledge on this topic. Such a nice sharing and my suggestion is also interesting for you and your friends because this http://theyahtzee.com is an worlds most played online game. you must tried to play it and make enjoying on your moment.